Any business requires committed and dedicated team players to develop a productive culture and facilitate growth. Meaningful teamwork should be encouraged at every level to create a people-focused, competitive, and resilient business. However, developing an ideal team player may appear to be a necessary – but out of reach – goal for managers and business owners. The process of developing an ideal team player needs to permeate the business from the interview stage until the employee leaves. If hiring and cultivating the ideal team player is something that you find challenging, Patrick Lencioni’s book, The Ideal Team Player: How to Recognize and Cultivate The Three Essential Virtues, may be helpful. Lencioni is a founder of a firm that focuses on helping leaders to advance their businesses. He has authored several books and, in The Ideal Team Player, he portrays characters from a fictitious construction company to demonstrate the three crucial qualities that result in people being better team members. The book provides a practical framework and tools to help develop the ideal team player and also gives directions on how to deal with employees who are not team players. 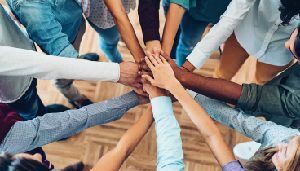 The Ideal Team Player would be of benefit to business leaders and human resources managers who aim to embed a business culture of collaboration and teamwork. 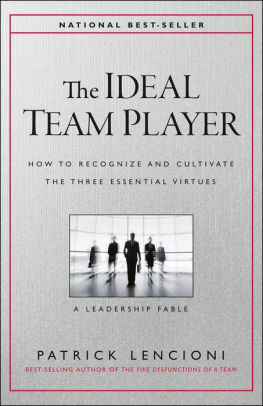 Lencioni states that the ideal team player has three characteristics. The individual who has an abundant amount of all three character traits will be the best team player. 1. Humility – A humble team player doesn’t have a big ego. They strike the balance of not thinking less about themselves while being selfless. They realize that success is a collective effort and emphasize contributions made by the team. 2. Hunger – An ideal team player is hungry and uncompromisingly chasing their goals. These team players are self-motivated, ambitious, passionate, and vigorous in the pursuit of fulfilling their objectives. Hungry team players don’t require hand-holding because they’re self-starters who continue seeking to improve themselves and their performance through learning. 3. Intelligence – The third characteristic that the ideal team player possesses is emotional intelligence. They interact with others in a smart way, which is demonstrated by exercising good judgment in relation to group dynamics. They are aware (and careful) of how their words and actions will affect the rest of the team. 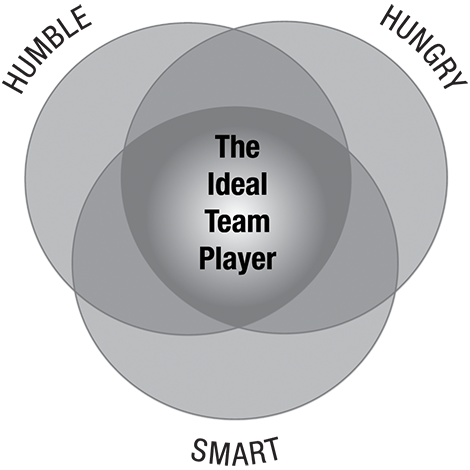 It’s rare to find individuals who have all three characteristics of the ideal team player. The majority of people will display one or two of the character traits, which means that most employees aren’t ideal team players. 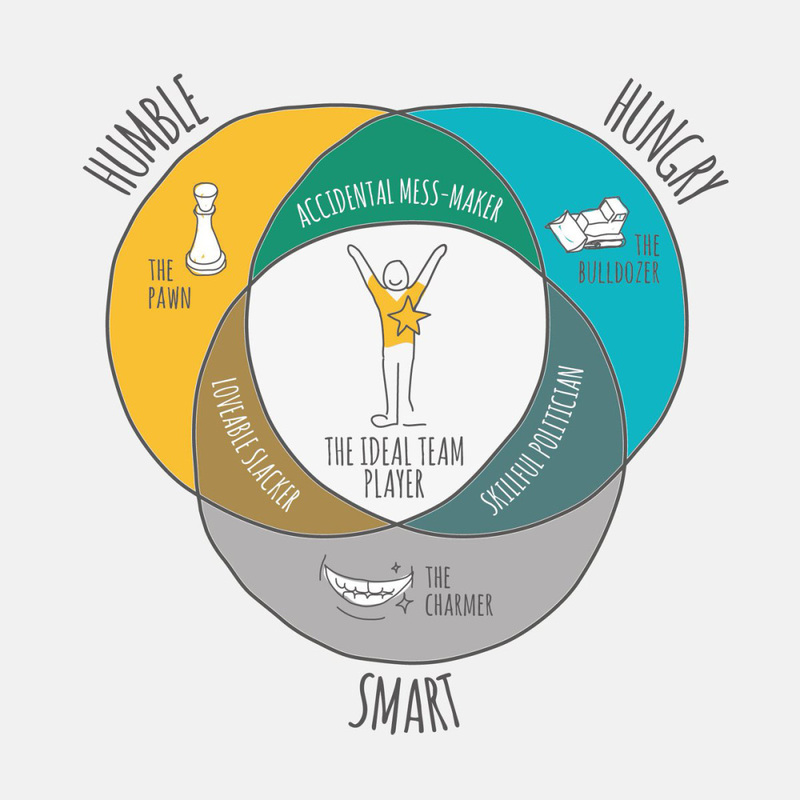 What happens when people only have one characteristic of the ideal team player? Pawns – These individuals are only humble. They’re modest and pleasant people to be around. However, they hardly ever cultivate meaningful relationships and lack ambition and drive. Pawns have a likeability factor because they avoid challenging and confrontational situations. However, this nice, but low-key behavior won’t be accepted indefinitely. Bulldozers – A bulldozer is only hungry. They have a one-track mind when it comes to getting results. Due to this laser focus, they can be selfish and pay no regard to the effects their behavior has on the team. Charmers – A charmer is only smart. They’re well-liked because they can be very entertaining. They will compliment team members on doing a good job, but they’re not interested in the team’s welfare. Accidental mess-makers – People with these character traits are both humble and hungry, but they aren’t smart. They have good intentions and aren’t continually seeking credit and affirmation. However, they’re also deficient in people skills. They have no clue about how their words and actions are perceived by other team members. Still, team members are aware of their good intentions to build a better team, which produces a healthy amount of respect for the accidental mess-maker. Lovable slackers – Individuals who are lovable slackers are humble and smart, but they aren’t hungry. Their people skills and humility are exceptional, however, they don’t have the drive and motivation to be the ideal team player. The lovable slacker is the ‘nice guy’ (or girl) and, as a result, managers find it hard to tackle them about their deficiencies. Skillful politicians – Team members who are Skillful politicians are hungry and smart, but not humble. This is the most treacherous type of team player because they only work very hard to serve their own interest. Skillful politicians are good at manipulating people to get their own way. Managers shouldn’t delay in dealing with Skillful politicians. It should be made clear that their behavior is unacceptable. If this team member refuses to change their behavior, they may need to be dismissed for the benefit of the team. It’s a manager’s duty to try to cultivate the right behavior to develop the ideal team member. The more integral team development is to your business, the more it will become a natural fit for managers and team members. If you agree with Lencioni’s three character traits, here are some tips to help your team to develop the three essential behaviors. The ideal team player mindset should apply to your the first interaction your business has with a potential team member. Lencioni suggests that multiple interviews should be scheduled and each interview should involve two people representing your business. If your business doesn’t have the resources to conduct multiple interviews, try to ensure that the person who is in charge of team development will be in attendance. Ask interview questions that will give you an insight into whether the candidate possesses the necessary characteristics. Every business representative who attends the interview should make notes, which should be compared later. Lencioni also recommends spending time with the candidate in the real world, outside of the interview setting. For example, candidates can be taken to a food truck or to a bar. Managers must be courageous and tactful when addressing a lack of humility in team members. A deficiency in humility could be an indication of an issue at a deeper level and is normally rooted in insecurity. The fine line needs to be read in order to help your team member achieve a balance between humility and confidence. Getting to the foundational causes of a team member’s insecurity will assist in helping a manager deal with this character trait. Managers could use a personality profile tool to help them take an inventory in order to make sense of the source of the team member’s insecurity. Using an objective basis to identify humility is important because it’s easy for team members to fake being humble. Team members might outwardly display behavior – like being interested in others and giving praise – to project a false image of humility. Your managers should actively involve the team member in addressing this characteristic. The team member should be asked to make a list of behavioral traits that they would like to display in relation to being humble. The manager can review this list in relation to how the team member actually behaves. This process should be a dynamic one where the manager constantly gives feedback about progress and about the areas that still require development. Trying to encourage hunger in team members isn’t as much of a delicate exercise as trying to develop humility. However, lack of hunger can still be a challenging characteristic to develop. Providing training programs and perks to try to motivate employees will normally be unsuccessful if your team members aren’t hungry. If someone isn’t self-motivated and has no desire to be productive, then developing hunger can be an uphill struggle. However, if your team member lacks hunger but actually wants to be more productive and a better asset to the team, then that’s a positive position to work from. To help team members develop a hunger for the job, you should ensure that your business strategy is effectively communicated. 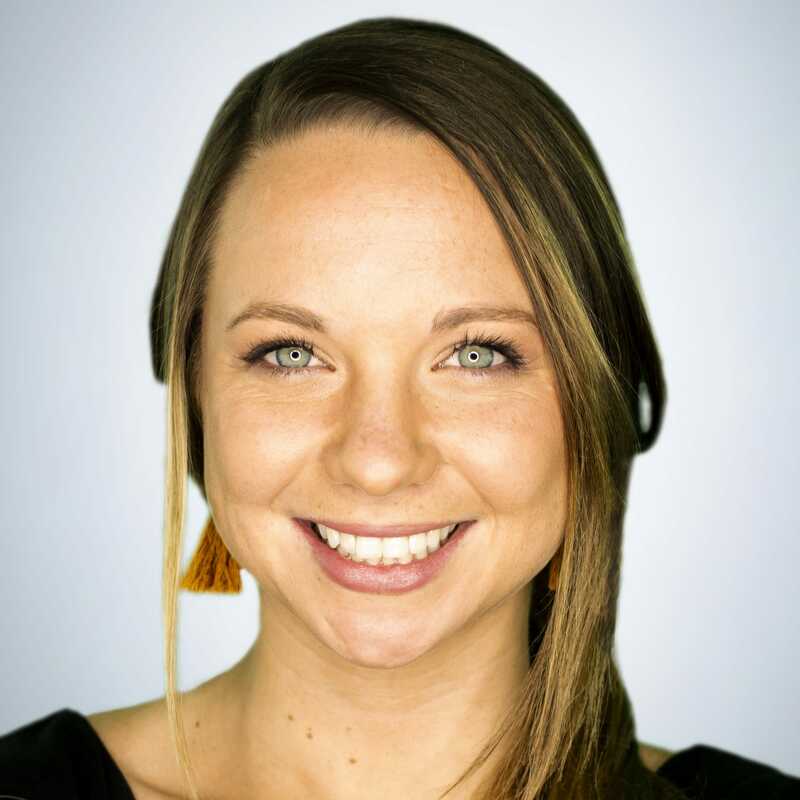 There needs to be a clear connection between the team member’s job and how it directly affects the company. To provide a practical example of why the team member should develop the necessary hunger, managers should state what motivates them about the job and the effect their work has on a personal level. Team members who lack emotional intelligence or ‘people smarts’ rarely go out of their way to cause issues. They’re generally unaware of how their behavior affects other people in the team. This character deficiency can be tough to deal with as someone who isn’t smart when dealing with people, may be genuinely shocked when you address this negative characteristic. Encouraging a team member to develop ‘people smarts,’ needs to be handled diplomatically since it’s likely that the team member will have to deal with self-awareness issues. Despite the unease that addressing a lack of people smarts might cause the team member, it’s advisable to deal with such issues as soon as they present themselves. The well-being of the whole team should be a manager’s priority and any behavior that threatens the positive dynamic needs to be stamped out. The team member who lacks people smarts may be unaware of acceptable social and team conventions, like helping others and defending your team members when they’re being unfairly targeted. Although encouraging someone who lacks people smarts might be a tough task, both your team and the emotionally unintelligent person will thank you. 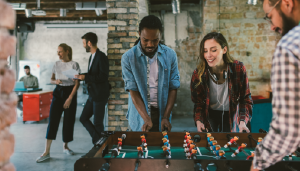 Your team will enjoy a more harmonious relationship and the affected person will also benefit from a more improved relationship with their colleagues. Developing the ideal team player requires a dedicated and continuous approach. Although most employees don’t start off with the three character traits identified by Lencioni, it’s reassuring to realize that, with the right training, business strategy, communication, and commitment, the majority of your employees can be transformed into the ideal team player to help you sustain a growing and prosperous business. Your business’ success is directly dependent on how you manage your employees. Employees are only as productive as the available tools allow them to be. Choosing the right solution for your team is crucial in order to implement a system that fits seamlessly with your workflows. 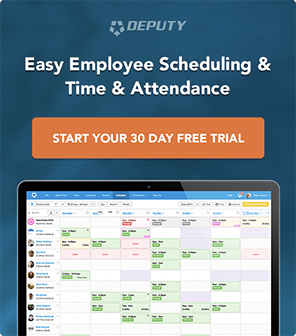 See what’s possible with Deputy’s complete workforce management solution by booking a demo today.